Dominic Thiem made the most of some time off ahead of this week’s Buenos Aires Open. The Austrian tennis star participated in a tournament activity wherein players got a chance to walk some dogs at a local organization on Sunday. 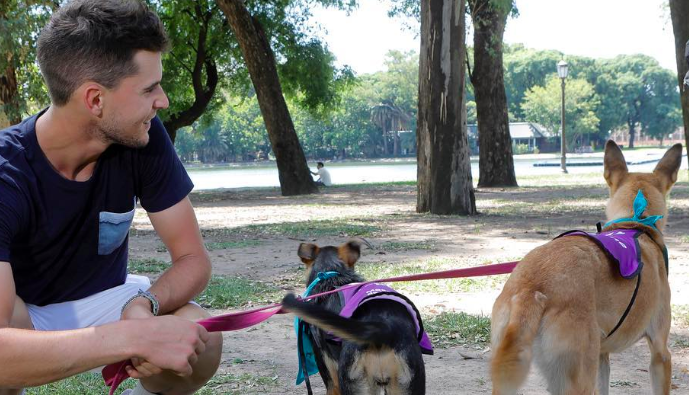 Thiem later took to his official Instagram account to share a picture of himself enjoying some downtime with the canines. “Thanks for an amazing tournament activity today for a very important cause!” he wrote the caption. Meanwhile, Thiem, who will be defending his title in the Argentine city, has got the top billing in the main draw. He is scheduled to cross the swords with either local hope Facundo Bagnis or Maxmilian Marterer in the second round.